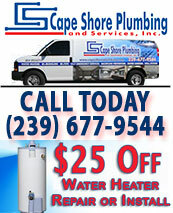 Cape Shore Plumbing, Inc. serves Cape Coral, Fort Myers, Bonita Springs, Estero, Sanibel Island, Naples, Marco Island and all of Southwest Florida . 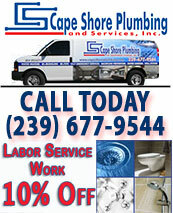 We pride ourselfves on being a family-owned and operated business. It is our goal to fully satisfy our customers from the moment we first answer the phone through completing the job by being prompt, courteous, and responsive to our customer's needs. 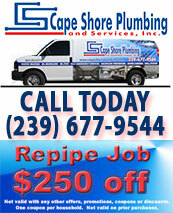 Call (239) 677-9544 Today or fill out the form below and we will contact you shortly!